There are calls at a national and international level for Ireland’s public sector to modernise and change to respond to unprecedented economic and fiscal challenges (Delivering Better Government, 1996; McLoughlin & Wallis, 2007; OECD, 2008). A key agent in the change agenda is senior management in the public and civil service, or the “permanent Government” (David McWilliams, 2011). The ability of senior management to envisage, plan and facilitate organisational change and development strategies will play a significant role in the sector’s ability to respond to modernisation and reform demands. 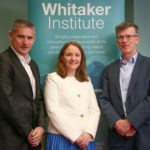 Funded by the IRCHSS, Dr. Alma McCarthy led a leadership capability study at senior management level in the Irish Civil Service between May and August 2010. Over 140 senior managers (Secretaries General, Assistant Secretaries General and Principal Officers) participated in the study from 12 Government Departments and the Office of the Revenue Commissioners. In total, over 1,200 leadership surveys were completed by focal individuals (the senior managers), their managers, peers and direct reports representing the most extensive study of its kind to-date in Ireland. This IRCHSS New Ideas grant has facilitated further statistical and data analysis of this extensive data repository and the development of two research papers on leadership in the public sector, and assisted in establishing an international research group in the area of Public Sector Leadership to enable a comparative analysis of leadership capability in different countries to add significantly to the field of knowledge.